Plans to cover the hills behind Çeşme with dozens of 140m high turbines continue despite the huge environmental costs and the many illegalities. Below are the economic, environmental, legal, democratic and public health reasons why more wind power projects (WPPs) should not be built on the unique and beautiful Çeşme peninsular. 5 separate WPPs are under development on the Çeşme peninsular in close proximity to Çeşme’s town centre, touristic areas and residential neighbourhoods. These 5 projects and their associated high voltage power lines will occupy up to 1/3 of the peninsular – a situation which is completely unacceptable to the local people and the local municipality. The planning and development of these WPPs has been conducted in an anti-democratic, immoral and illegal way that is contrary to many Turkish National Laws along with widely accepted international principles. The development of these WPPs in one of the Turkey’s most important touristic areas would be a huge and historic mistake which will have serious negative impacts on the local economy, the local environment and the health and well-being of the people of Çeşme. Contrary to widely accepted international standards, the Çeşme WPPs will be sited as close as 200 metres from people’s homes, schools and workplaces. This has serious implications for the health and wellbeing of local people. Living within 2km of wind turbines has been proven to cause severe health problems due to infrasound and low frequency noise created by the turning turbine blades. Commonly called “Wind Turbine Syndrome”, the associated health problems, which are due to interference with the middle and inner ear, include vertigo, dizziness, nausea, tinnitus or ringing of the ears, insomnia and problems with balance. The mid and high voltage cables that are also associated with wind turbine projects have been linked to increased risk of leukemia. The WPPs in Çeşme have been planned and developed in an anti-democratic way from the start. Despite a 14-year planning period, at no point were the people of Çeşme or local NGOs consulted about the plans. This is contrary to Turkish National Law and to accepted international principles for community involvement in environmental decision making enshrined in the UN’s Aarhus Treaty. Despite their irrefutable and significant effect on the area’s environment, economy and public health, the 5 WPPs were granted an exemption from the legally required Environmental Impact Assessment process. This means there has been no independent, expert assessment of the positive and negative affects of the projects on the local area, and no opportunity for local residents to voice their opinions and concerns. The WPPs are being developed in areas that have been designated as 1st and 2nd Level Natural Protection Areas due to their ecological importance. Turkish National Law does not permit building in such areas with severe penalties. However, despite many official complaints by local citizens, law enforcement and government officials have failed to halt or punish the wind energy company or their contractors. Use of the “Emergency Nationalization Law” to expropriate private and state owned land for the WPP has been ruled illegal by the Council of State, Turkey’s highest administrative court, which ordered a halt to construction. This ruling has not been implemented by local officials and law enforcement agencies. Construction has started illegally on privately owned land despite the fact that the expropriation process is still on-going with appeals in local and regional courts by land owners. The energy company and its contractors have occupied and destroyed privately owned land. This is not only illegal, but it is also completely immoral as the damage to private land is irreversible should the court uphold the land owner’s appeal and stop the expropriation process. According to national legislation, all energy projects that had not reached completion of their construction stage by 2nd May, 2014 should have their production licences cancelled by the Turkish energy regulator, EPDK. Dubbed ‘2nd May Syndrome’, dozens of WPP across Turkey have been cancelled due to this legislation. All the WPP being planned or developed in Çeşme should have their production licences immediately revoked. Read a full summary of the illegalities of the Çeşme wind energy developments. Çeşme is one of Turkey’s most important touristic areas attracting hundreds of thousands of visitors from across the country and around the world each year. Tourism is essential for the local economy providing jobs and income for local people. By destroying the area’s natural beauty the WPP will have a negative affect on the area’s touristic potential and economy now and in the future. The Çeşme WPPs make no contribution to the local economy and provide only very limited employment opportunities. WPP have been proven to have a negative affect on local property prices. Wind energy has the potential when fully developed to provide only 2.4% of Turkey’s national energy needs. The respective contribution of all the WPPs proposed for the Çeşme Peninsular is only a fraction of this 2.4%. The significance of this tiny contribution to the national energy budget is far outweighed by the national importance of Çeşme as a touristic and agricultural area. Illegal use of the “Emergency Nationalization Law” means that local land is expropriated at prices that are far below their market value. The economic and agricultural value of the land surrounding the wind turbines is also negatively affected. 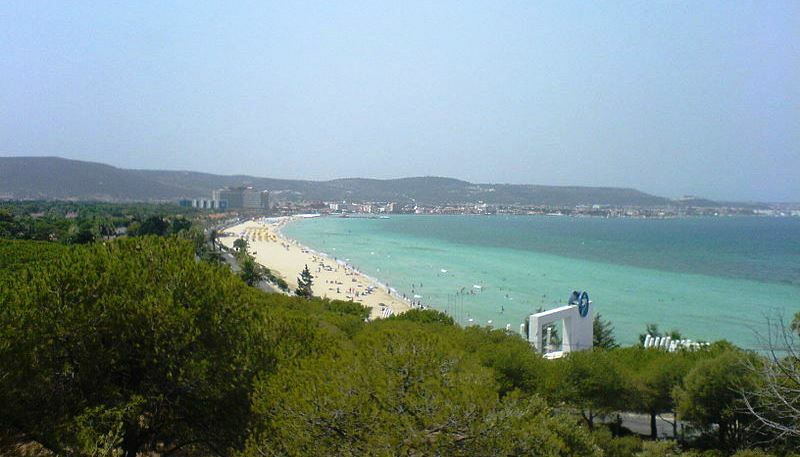 The Çeşme WPPs are situated in 1st and 2nd Degree Nature Protection Areas recognised for their environmental importance. These areas are home to many rare and protected species of plant and animal, some of which are only found on the peninsular. Construction activity is destroying huge areas of these unique and important natural habitats. Çeşme is situated on important bird migration routes between Africa and Eurasia. It is also home to endangered species of aquatic birds and birds of prey. International studies have shown that revolving wind turbines kill large numbers of migrating and resident birds. The existence of 50-60 huge wind turbines in such a small area will have a significant affect on the unique microclimate potentially endangering local endemic species.